Minnesota surely isn’t one of the first destinations that comes in mind when traveling in the United States. However, The Land of 10,000 lakes is a state that has a lot to offer, especially when it comes to nature. From the vibrant twin cities to the beauty of the great lakes, there’s always lots to see and do. However, even today, most of Minnesota’s nature is vastly unexplored. Most people that visit, head straight to Minneapolis, St. Paul or eventually the Minnehaha National Park and the Boundary Waters, missing out on some of the best hidden gems in Minnesota. That’s what this article is all about: the hidden natural wonders of Minnesota’s Outdoors! Minnesota’s north shore is quite popular among locals but rarely gets mentioned when it comes to the most scenic rides in the US (and it really should). 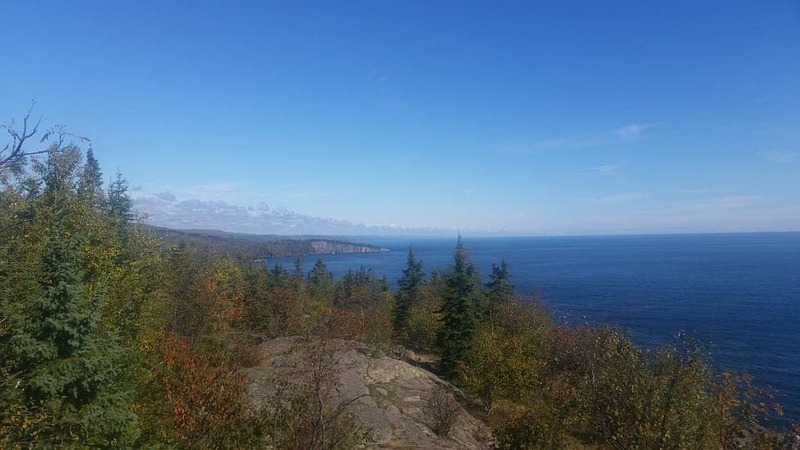 The entire shore is dotted with cobblestone beaches, rocky cliffs, forested ridges, and scenic waterfalls that flow into Lake Superior. If you want to see the best of Minnesota’s nature, you should definitely consider taking this 151-miles-long adventurous journey. 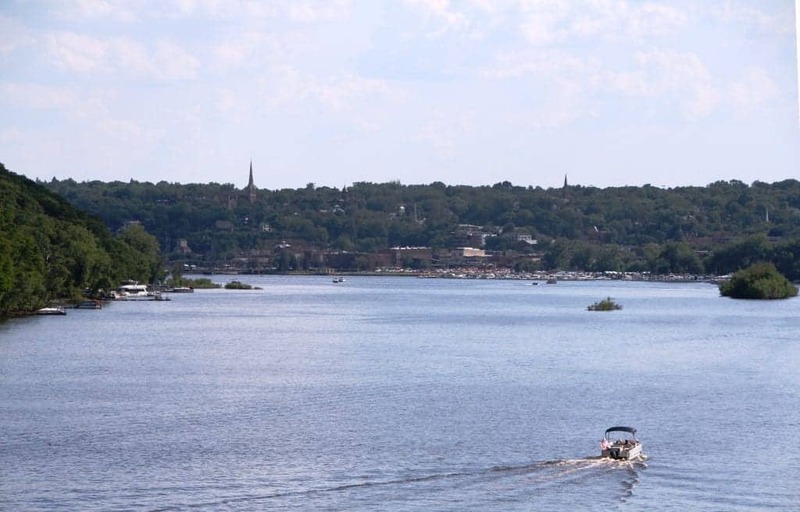 The community of Stillwater is often called the birthplace of Minnesota. The 1848 convention, which later resulted in the creation of the state of Minnesota took place right here in Stillwater. It’s a beautiful town that still retains its pioneer charm, but also offers a lot of activities to indulge in. Stillwater is famous for water sports and is a great place for kayaking, rowing, and gondola peddling. However, if you want to explore the waters in a rather more relaxed style, you can take a ride on a paddle boat steamer. Minneopa is one of the tallest waterfalls in Minnesota with a very descriptive name. In the native Dakota language, the word Minneopa means “water falling twice” – a beautiful simplification of the Upper and Lower Minneopa Falls. Today, the falls are a part of the Minneopa National Park, located at the south side of the Minnesota River. Minneopa houses a few buildings listed on the National Register of Historic Places and is home to the American Bison. It’s also the third oldest national park in Minnesota. Located on the shore of Lake Vermillion, the Soudan Underground Mine is the first iron ore mine in Minnesota. Today, the mine is a National Historic Landmark and it’s open to visitors, giving them the unique opportunity to hop on a metal train that goes more than 900 yards below ground and see the last remaining active mining site. 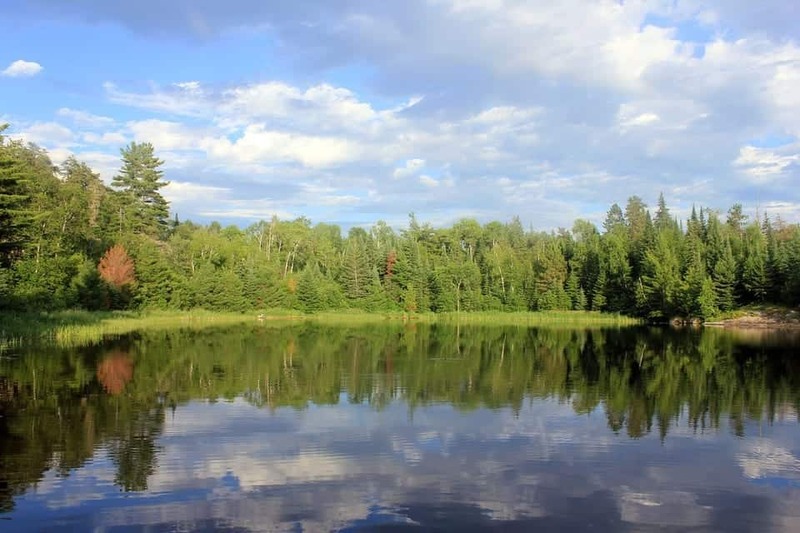 Winding through lush pine forests and maple stands, the Gunflint Trail is a 57-miles-long remote wilderness road and one of the least frequented parts of the United States. It’s the perfect destination for hiking, camping, kayaking, birdwatching, and even wildlife encounters. There are several different hiking trails for everyone’s taste. Some of them are strenuous, some or not, but they all wind through crystal lakes and dense, lavish forests. No visit to Minnesota is complete without a visit to some of its great lakes. Perhaps the most beautiful of them all is Pelican Lake. As its name implies, it’s an area of outstanding natural beauty where you can marvel at spectacular bird and wildlife. Pelican Lake also offers accommodation in some of the most charming cabins in the Midwest thanks to cabin rentals MN at Birch Forest Lodge. This might not fit in the category “hidden gems in Minnesota” but it’s on this list due to its remoteness. The lighthouse was built more than 100 years ago but it got its glory only recently, after being featured in “The Great Gatsby” in 2013. Today, the lighthouse is a part of the Split Rock Lighthouse State Park and one of the most picturesque places in the US. In order to reach the lighthouse, you need to take a short trek through the forest. The place is open for visitors, incredibly well-preserved, and gives a great view of the entire Silver Bay. Located in Minnesota’s far southwest, you’ll find one of the oldest sacred places of Native Americans in the whole country. Native Americans used these rocks for making ceremonial stone pipes used for the traditional rituals of Plains Indians. Today, only Native Americans are allowed to quarry the Pipestone and if you visit during the summer months, you can witness some of the rare cultural demonstrations that take place at the Pipestone National Monument. Stretching across 219,000 acres, the Voyagers National Park consists of 30 beautiful lakes and a series of interconnected waterways. These waterways were used by the early European settlers in the 17th century. The national park lies in the heart of the North American continent and it’s a great place for hiking, reconnecting with nature, seeing the Northern lights, and of course, go back in time and experience life of the early voyageurs. The Lost 40 is an untouched forest that spreads over a surface of almost 150 acres. 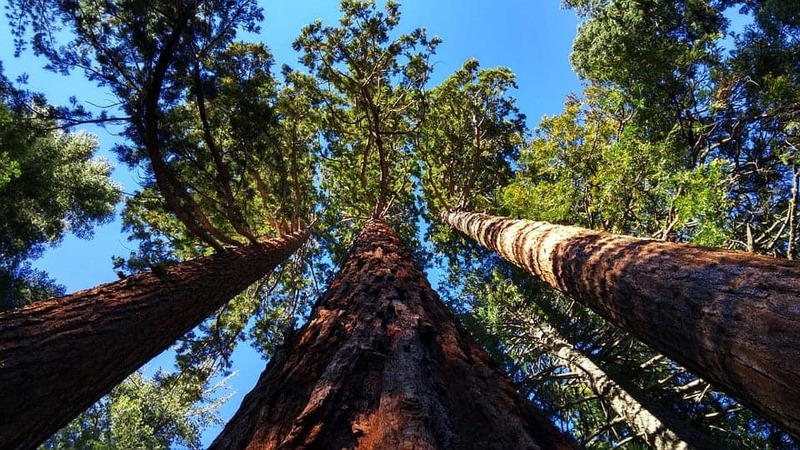 Trees in this forest were left to grow without disturbance and some of them are more than 100 meters tall. However, the reason why these trees were allowed to grow without disturbance was a curious mapping error. This mapping error made loggers think that the place the forest was located is under water. Hence, loggers never made it here, thus preserving the giant pine trees you can find in the forest today. 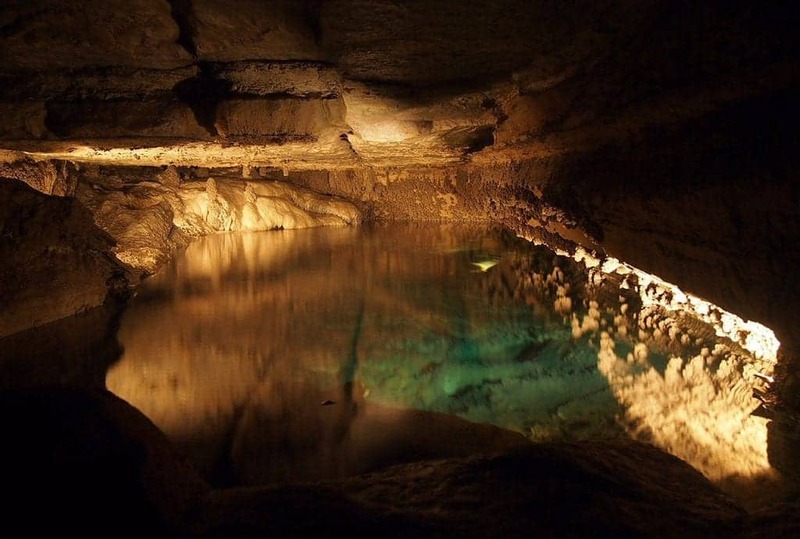 Going as deep as one mile below ground and featuring an underground waterfall, Niagara Cave is one of the most spectacular natural caves in the Midwest. Here, you have a rare opportunity to see underground canyon-like passageways and fascinating rock formations. The cave was discovered in the 1920s’ but has been around for millions of years. A local farmer came across the cave accidentally while searching for his lost pigs. However, it wasn’t until 100 years later that the cave got its glory. Since 2015, Niagara Cave is the only cave in the world to go 100% solar (the cave’s energy use is completely provided by solar panels). The Northwest Angle is the only part of the US (outside of Alaska) located north of the 49th parallel. The Angle shares a land border with Canada but it’s separated from Minnesota by Lake of the Woods. This makes the Angle an exclave of the United States and one of the strangest borders in the world. How did this happen? The 1783 Treaty of Paris between the Americans and the British stated that the border between the US and the Northern British Territories runs “between the Lake of the Woods and the northwest course of Mississippi River”. However, the source of the river was still unknown to explorers at the time. This made the identification of this northwest corner a bit tricky. However, that didn’t stop them to choose the spot rather randomly and the rest is history. Today, the Northwest Angle is home to only 119 people and most of this land belongs to the Red Lake Indian Reservation. 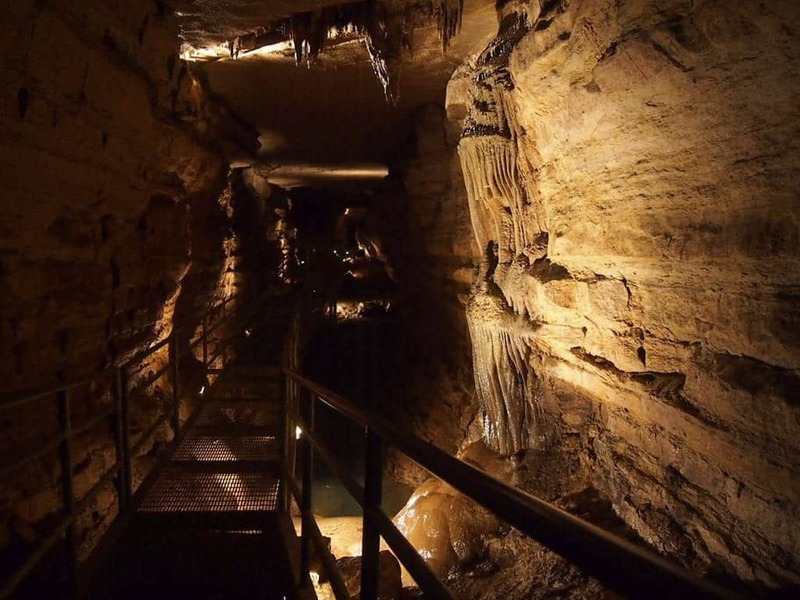 The Mystery Cave State Park is named after one of the most prominent sights in the park- the Mystery Cave. Inside the cave, you’ll see spectacular rock formations, squid fossils ingrained in the cave walls, and thousands of bats. The temperature in the cave also never changes- it remains 49 degrees (9.5°C) throughout the year, despite the outside temperature. This park is also a great place for outdoor enthusiasts and people that seek wildlife encounter opportunities. The park is home to some rare species like timber rattlesnakes and glacial snails but also a lot of raccoons, beavers, deer, opossums, squirrels, etc. Technically, you can only notice this while looking at it from above but the forest known as the “Minnesota Forest” has the exact same shape as the geographical map of the state of Minnesota. The forest was designed by forest engineering genius, Bill Lockner and was only recently discovered by Google Maps’ aerial view. While Bill was cleaning dying trees in the last decade of the 20th century, he decided to have some fun and give the forest the shape of Minnesota’s map. Today, not a lot of people know about it, but this forest surely has the potential of becoming one of the most popular attractions in the region. As you can see, Minnesota has a lot of interesting things to experience to indulge in, from cultural activities, winter sports, and downhill ice skating competition to exploring the great American outdoors, experiencing wildlife encounters, and numerous hiking and camping opportunities. Did you know about these hidden gems in Minnesota? Do you think you could add more to this list? Let us know in the comments! I had no idea most of this was in Minnesota! So glad you shared. Thank you, Moriah- I’m really glad to hear you liked this post. USA is so far away from me that I get lazy planning my trips to that side of the world. However, reading posts like this does make me realise all that I am missing. Minnesota seems like a genuinely natural and beautiful place. I would love to visit the different caves, which should make for quite an adventure. As for The Lost 40, I would hope there are more mapping errors around the world, so we can see more and more trees grow undisturbed. Wow. There seems to be no shortage of great places in Minnesota. 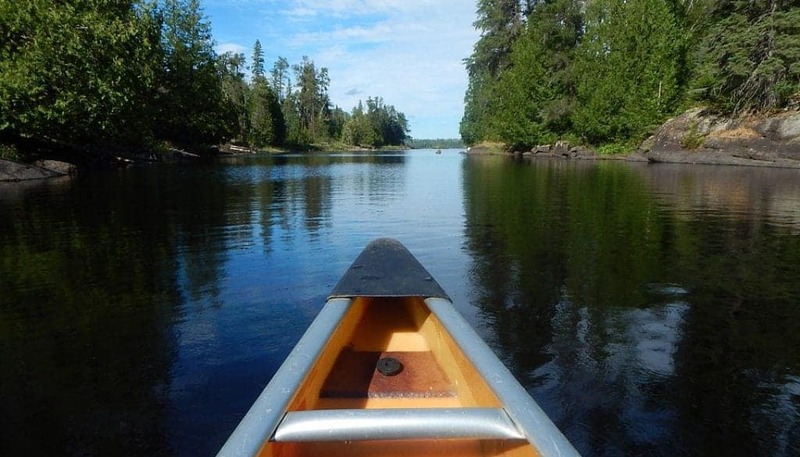 Especially would love to check out the Voyageurs National Park. It seems eerily serene if there was such a thing. And loved the view from Split Rock lighthouse. Stunning! What a stunning region of the USA. I really enjoyed your photos. The view from above of the Minnesota Forest forming the shape of the state was something that I have never heard of before. Minneopa and its meaning of water falling twice was beautiful – the waterfall was stunning. Gunflint Trail is something we will do when we visit Minnesota. We are always up for strenuous activity in the outdoors. Wao, Minnesota has so many places to visit and things to do! You are right that Minnesota is not the first name that comes to mind while traveling to US for holidays but that doesn’t mean it has nothing to offer to its visitors. Absolutely, Anwesha! Minnesota has so much to offer. I have never been to Minnesota but now I feel like I have to go and see all these cool things with my own eyes. Especially the squid fossils in the Mystery Caves. HOW COOL! wow, this looks like a great place! never been to Minnesota, can’t wait to go one day soon! Thank you for this great post. I would love to visit Minnesota and this has given me so much inspo. I love how awesome the Mystery Cave State Park looks. Thank you, Rebecca! I’m really glad to hear you found some inspiration in this post. I’ve never been to Minnesota yet, but we will visit as part of our visiting all states in the US. Its hidden nature gems are amazing. I will have to make sure we won’t miss the Minneopa Falls, Split Rock Lighthouse, and the Pipestone National Monument. Thank you for sharing beautiful pictures and information that help us making a plan. Minnesota strikes me as a quaint city place away from the crowd with great natural beauty. The land of 10000 lakes – wow! That’s enough to entice me to this beautiful place. The Pelican lake is already my favorite. Must be fascinating for bird watchers. I had so idea that Minnesota has so much to offer! I love the outdoors, the abundance of natural beauty is amazing. I especially loved the pelican lake. Mystery Cave State Park also seems exciting. The history of Native Americans has always fascinated me. Of all the places you mentioned to me, their worship place attracts me the most. Thank you for stopping by and commenting, Abhinav! 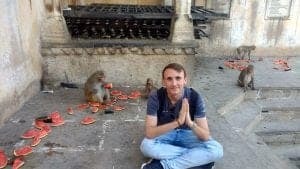 I’m really glad to hear you enjoyed this article and I hope you get the chance to visit and experience some of these things as soon as possible. I actually have never been to Minnesota and had no idea it had so much beauty to offer in the great outdoors! You have me convinced to take an adventure trip sooner rather than later. I never knew that Minnesota has wonderful natural gems. I used to know about this place for great University. But now definitely check these places. I would love to go for Minneopa falls and Gunplint trail as both places have wonderful photo opportunities. Thanks for sharing a hidden gem with us. Wow, I love how you were able to gather all these hidden gems that Minnesota has to proffer in one blog post. I haven’t heard anything about all these stunning places, and I wish I can here soon. The Minneopa is something I should not miss to visit, since I’m a huge fan of waterfalls, and it gives me a refreshing feeling. Thank you so much for this. 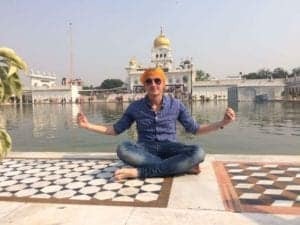 I love travel blog posts that feature destinations that are “hidden in plain sight,” so to speak! Everything you cover here is beautiful, especially the attractions on the shore of the lake. I had never heard of or seen the lighthouse before, and it looks like it’s set in such beautiful surroundings. That forest in the shape of Minnesota is also really interesting and funny! I’m surprised someone was able to make that and then able to wait for it to be discovered on Google Maps. What a fun and informative post, thank you for sharing! Somehow, reminds a lot of Northern Norway. I would say, I would feel really comfortable exploring the nature of Minnesota. These are some lovely outdoors.